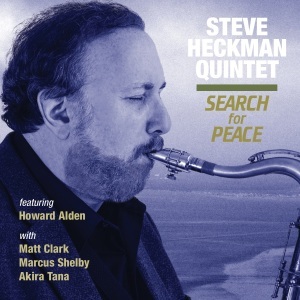 SEARCH FOR PEACE, the fourth album by the acclaimed multi-reed instrumentalist Steve Heckman, is the exciting follow-up to Heckman’s previous Jazzed Media outing, BORN TO BE BLUE, which remained on the JazzWeek chart for 12 weeks and reached the Top 20. 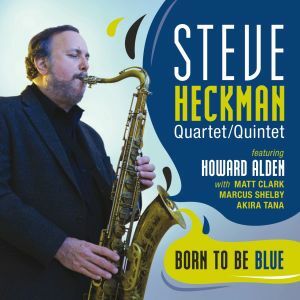 Featuring the same stellar musicians, including New York guitarist Howard Alden, on the newest release, Heckman plays tenor sax on seven tracks and baritone sax on two tracks, with Matt Clark trading his piano for the B3 to add a pinch of grease to the mix. Guitar virtuoso Howard Alden has performed and recorded with Clark Terry, Dizzy Gillespie, Woody Herman, Benny Carter, Flip Phillips, Bud Freeman, Ruby Braff, Joe Williams, Warren Vache, Kenny Davern, George Van Eps, Joe Pass, Scott Hamilton and Ken Peplowski. He can be heard on at least 27 of his own albums as well as on the soundtrack to the Woody Allen movie “Sweet and Lowdown”, starring Sean Penn. 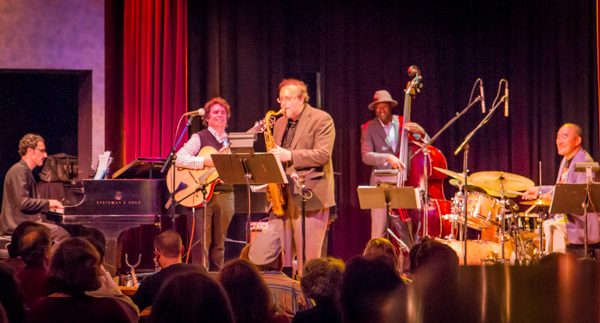 Howard voted “Best Emerging Talent-Guitar” in the first annual Jazz Times critics’ poll in 1990, and “Talent Deserving Wider Recognition” in the 1992, 1993, 1995 and 1996 Downbeat critics’ poll. Drummer Akira Tana has performed and/or recorded with jazz greats such as Sonny Rollins, Sonny Stitt, Zoot Sims, Hubert Laws, Milt Jackson, Jim Hall, Art Farmer, Paquito D’Rivera, James Moody, J.J. Johnson, Lena Horne, and The Manhattan Transfer, just to name a few. He appears on over 100 recordings. Akira co-led a quintet for 10 years with the bassist Rufus Reid, called Tana-Reid, which produced 6 CDs. Bassist Marcus Shelby was the leader of the Black Note Quintet, and leads the Marcus Shelby Jazz Orchestra and Trio. He has won numerous awards, including: Charles Mingus Scholarship to CA Institute for the Arts; John Coltrane Young Artists Competition; ASCAP Popular Award for Songwriters/Composers; Bay Guardian Award for Best Jazz Band; S.F. Weekly Wammie Award for Best Jazz Musician; and SF Weekly Master-Minds Award. His discography includes 10 albums. Pianist/Hammond B-3 player Matt Clark has performed with saxophonists Eric Alexander, Vincent Herring, Teddy Edwards, Frank Morgan and Mark Turner; vibrophonists Bobby Hutcherson and Stefon Harris; trumpeter John Faddis; and vocalists Madeline Eastman, Kellye Gray, and Denise Perrier, among others. He was a member of the Marcus Shelby Trio, and performs regularly with Bay Area vocalist Paula West, saxophonist Andrew Speight and many others.